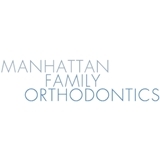 Manhattan Family Orthodontics (New York) - Book Appointment Online! Dr. Togias earned his dental degree and completed his postgraduate specialty residency in Orthodontics and Maxillofacial Orthopedics at Tufts University School of Dental Medicine. He is an active member of several professional dental organizations, including the American Orthodontic Association (AOA), American Board of Orthodontics (ABO), the American Dental Association (ADA) and New York County Dental Society. Dr. Togias feels very proud and fortunate to be able to offer the most current and effective orthodontic treatments with metal and clear braces, Invisalign and lingual braces, to the children and adults of New York City and surrounding areas. FREE CONSULTATIONS AVAILABLE TUESDAY-THURSDAY 11am-2pm. FRIDAY 9am-2pm. Consultation fee applies to Mondays, Tuesday-Thursday in the later afternoons and Saturdays. Dr. Togas was very professional. Very funny and made my us feel confident that we are going to get a great service. Braces were installed perfected.